It is said that, “Be Healthy! Be Happy! Eat some Strawberries”. From this saying we must have to realize the importance of strawberry that, if we want to enjoy healthy life then we have to eat strawberries. In this article I will mainly focus on strawberry cultivation process as well as its nutritional value. The scientific name is (Fragaria × ananassa) belongs to genus Fragaria and originated in Europe. Its cultivation is done at global level for its fruit. The fruit is liked all over the world because of its beautiful heart-shaped red appearance, juice, aroma, sweetness and nutritional benefits. China ranks first in production of strawberries with 3.8 million tonnes in 2016 and other producing countries are USA, Mexico, Egypt, Turkey and Spain etc. In Pakistan strawberries are mainly grown in northern areas as well as subtropical region. Furthermore, the cities where strawberries are grown in Pakistan be Chitral, Mingora, Swat, Ghotki, Kaghan, Bahawalpur, Panu Akil, Faisalabad, Sialkot and some others. But postharvest losses are much high (>40%) due to lack of resources and poor availability of infrastructure. Strawberry is an herbaceous perennial plant with short stem and can grow 20-25cm in height. It has fibrous root system and compound leaves forming crown shape. Flowers are generally white and arise from the axils of the leaves. Its fruit is red in color and has small seeds on the outside. Botanically it is considered as an “accessory fruit” and is not a true berry. Strawberries are used in making of many dishes like Eton mess (dessert containing a mixture of strawberries and banana) in England, Frasier (a French cake made of strawberries) in France, Pavlova (cake that is decorated with a topping of strawberries) in New Zealand, strawberry cheesecake, strawberry ice cream, strawberry jam, chocolate covered strawberries and strawberry pie. As well as in making of baby oils, shampoos, lotions, toothpaste, face washes, squashes, jellies, candies, salad, juices and syrups. Strawberries will grow better only if site and soil is appropriate. Pakistan enjoys varied climatic conditions that are favorable to its growth. Selection of suitable site is necessary for strawberry cultivation and soil ranging from light sandy to clay with optimum pH 5.5-6.5 is considered best. However strawberries can be grown in heavy soils but addition of organic matter is required. Firstly, land should be prepared for strawberry cultivation by ploughing. The main purpose of ploughing is to mix the upper and lower layer of soil, bringing lower nutrients up to soil surface. Its cultivation is mostly done on raised beds which are 4-5 inches high and 24 inches wide. Early spring is an excellent time for cultivating strawberries as it ensures good development and increased productivity. Fall planting is not suggested because of weed control problems. Strawberry is a shallow-rooted crop it is susceptible to drought. So it is necessary to irrigate frequently after planting, if not the death rate of plants become high. Irrigation should be given according to soil moisture contents and weather conditions. Fertilizers include nitrogen, phosphorous and potassium which are required for good crown and runner development. However soil tests will identify the deficiency of nutrients. Usually nitrogen, phosphorous and potassium are applied at or before planting. There are three methods of propagation for strawberries by seeds, plant division and runners. Mostly plants are propagated through runners because it is the easiest and quickest method of propagation. Insects can be controlled usually by crop rotation in strawberries and by chemical applications as well as preventive measures insects include slugs, moths, mites, beetles, aphids, thrips, fruit flies and many others. Strawberries are being attacked by number of diseases like powdery mildew, angular leaf spot, bacterial wilt, anthracnose, black leaf spot, black root rot, common leaf spot, brown cap, leaf blotch, leaf rust, leaf blight and stem-end rot etc. 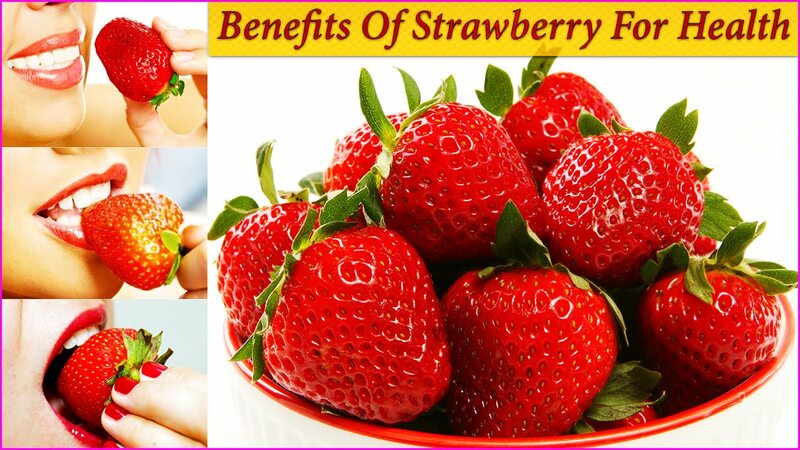 Harvesting should be done carefully because strawberry is highly perishable crop. Fruit should be harvested when its colour turn from green to red, but it depends on variety. Mostly hand picking is done in strawberries. They will be stored for only 48 hours in domestic refrigerator at a temperature of 2°c. An average yield of strawberry per hectare is 5-10 tonnes. Last step is grading and packing. Strawberries are sorted into grades according to their quality in suitable wooden baskets. Bruising should be avoided because it destroys the whole wooden basket containing 8-9kg strawberries. It is highly perishable crop so proper care in handling and marketing is required. Strawberry varieties which are growing in Pakistan be Chandler, Corona, Douglas, Tufts, Gorella, Toro, Honeyo, Pocahontas and Cruz. Strawberry has been divided into three types; June-bearing strawberries, everbearing strawberries and day-neutral strawberries. ü High quality seeds should be used. ü Pests and diseases should be timely controlled. ü Proper post-harvest facilities are available. ü Special attention given towards production technology. ü Soil should be appropriate and analyzed at proper time. To conclude as explained above strawberry is a God gifted highly nutritious fruit crop which has great importance related to human health and economy. It can give revenue more than 200,000 per acre. But in Pakistan due to poor availability of infrastructure like transportation, poor packaging and inappropriate harvesting post-harvest losses are more than 40% which are much high and also a big risk to economy. So if we want to earn income and take benefits from this marvelous fruit crop in future then we have to improve our infrastructure, production facilities and post-harvest facilities. In Pakistan strawberry is still grown on very small area just for local markets and till now no proper attention is given towards it but there is an urgent need of giving more attention towards strawberry cultivation and we should have to grow this as a major fruit crop because of its immense health benefits in addition to improve the value of Pakistani strawberries in the World’s eye.